Abi is a mum of three and a hands on boss. Naturally she’s a spa lover, but she’s also a proactive motivator and mentor to her team. Working on the ‘shop floor’ with everyone else, she heads up weekly meetings, organises incentives almost daily and always pays attention to the individual, helping them work to their strengths. Abi started her own career in journalism before quickly realising her talents lay in PR and marketing. She’s now an award-winning leading woman in business and is a proud mentor to team members who have risen both within the company and also set off on their own journeys to launch businesses, having cut their teeth at Spabreaks.com. Having previously worked in travel organising holidays to East Asia, Lang joined the team in 2008 as a sales consultant. After a year he was promoted to Team Leader, working at the head of a team of sales consultants to motivate and guide them into achieving their personal and professional targets. After seven years, he remains happy in his role and very much at the heart and soul of the company. Lang said: “I think what’s kept me here all this time is the working environment. Spabreaks.com gives me the freedom to be who I am, it’s friendly and it’s encouraging. The team is young and it isn’t a standard corporate environment but at the same time we’re all serious about our jobs. I have always worked in offices where you come in and sit there and there’s rarely any social activities, but there’s always something going on here! The job is very intense, you’re on the phone all day, but the team makes it fun rather than stressful with lots of motivation and competitions. Having previously worked at Stoke Park, which happens to be one of the spa venues Spabreaks.com works with, Ashley joined the team in 2011 and since then has been promoted multiple times. He’s been a team leader, and now works training new members of the team and managing the call centre. Ashley said: “I started as a sales agent and then I was promoted to a team leader within a year - the company was much smaller then but my sales were good and I quickly learned management skills. I did that for a couple of a couple of years, then when we took over Spabreaks Direct I oversaw that. 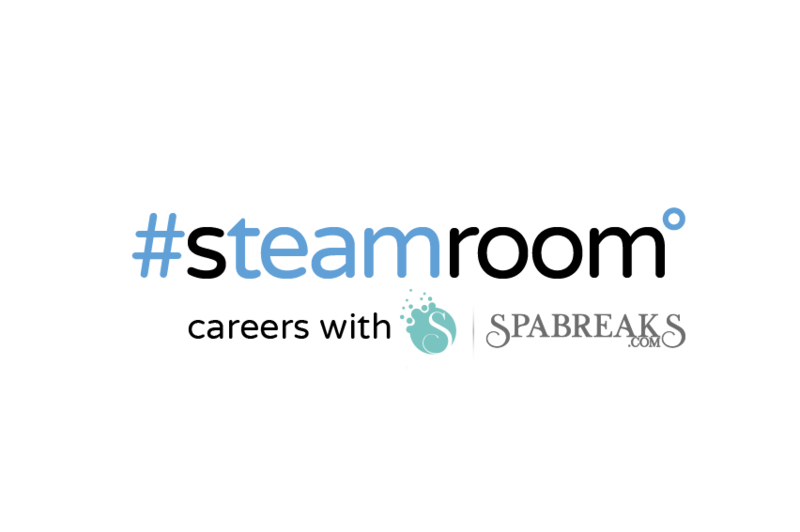 Now I am a Spabreaks.com mentor and International Team leader - overlooking overseas sales along with all training for new starters. Progression has been a big motivator for me. The atmosphere in the office is a big thing too - there’s lots of personality and you're allowed to bring your own personality to it as well. There’s flexibility and it’s very friendly - you get along with everyone - it’s more like a family. If the managers see something in you they will direct you towards progress, they never push but they encourage you in ways you might never have thought. Also, they are aware that people develop differently so if you don’t take to your role quickly, they work with you to improve. Some of the people who took to sales the slowest end up being the best in the team. As the company gets bigger I am always looking for more opportunities. The new office in Brighton will be exciting. When I started there were only about 10 members of staff and now there’s nearly 100. It feels like a huge accomplishment and I feel part of that success every day. Spabreaks.com's senior management team includes a high percentage of women, many of whom joined the company in the early days and have been instrumental in helping it grow. Sarah Hill joined in 2011 and is now Senior Product Manager. Before I joined Spabreaks.com I was an Agency Sales Manager for an agent specialising in the area around the Red Sea. When I came for my interview with Abi, via a recruitment company, as two career driven working mums we hit it off instantly. I loved the Spabreaks.com ethos and believed the company was young but had potential to be a great success, just like past companies I had worked for. I was employed as Product Manager and as the department has grown I have been promoted to Senior Product Manager. My role has changed 360 degrees. I now deal more with the day-to-day account management of the individual venues and chains as opposed to the sales team queries which we now have a new team member for. I am also heavily involved in the online booking and freesale portal, which has been revolutionised since I started. I love that every day here is totally different and that new challenges arise all the time. I believe what has kept me here is the product team, most of us started together and have grown the department together, which is incredibly exciting. I also enjoy the relationships I have formed with all my venues over the years. The company ethos of wanting to strive in every way possible in this digital age and the fact that we do have lots of fun together means that sometimes I don't feel we are even at work.